The Burley Company knows you have better things to do at the end of a busy and tiring day than tend a wood or solid fuel burning fire. That's why it designed the Burley Environ 4247 inset flueless gas fire so you can enjoy all of the benefits of a fire fashioned from high quality materials without the need for any clean up or dealing with the problems of smoke and ash. 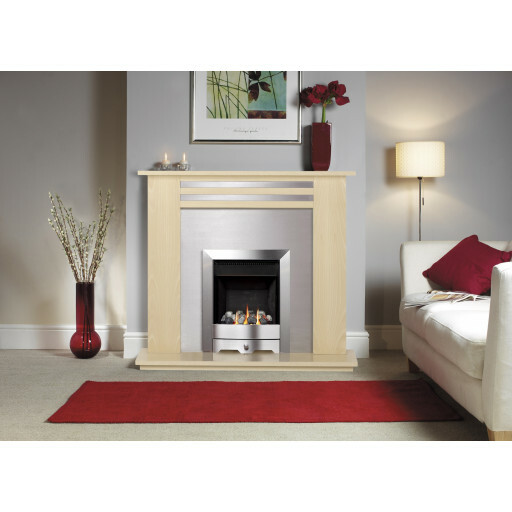 The Burley Environ 4247 inset flueless gas fire is a 100% heat efficient unit that uses natural mains gas or LPG bottle gas as its fuel source to produce steady and even clean, energy efficient heat. Not only does the sophisticated styling of this gas fire nicely complement your existing décor, it does not require a chimney or flue for safe operation, only proper air ventilation. The Burley Environ 4247 inset flueless gas fire can be manually operated or turned on and off by remote control for added convenience. It supplies any room with 2.5kW of heat. When mounted on an internal or external wall, it requires very little space, making it the perfect gas fire choice for smaller living rooms in any home.